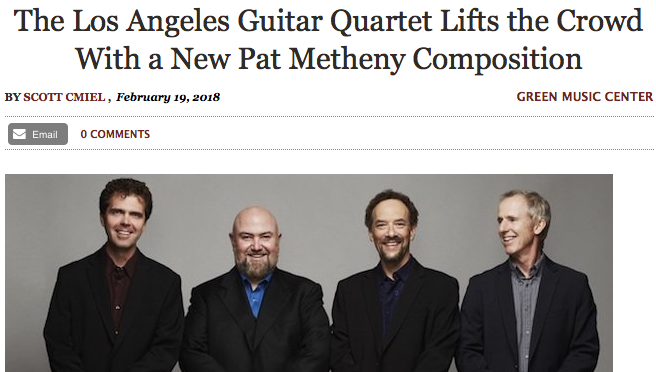 Audiences and reviewers are digging the new Pat Metheny piece! The San Francisco Classical Voice calls it a "stunningly expressive new composition...received by the audience with a standing ovation and rapturous applause." Read the whole review of our Santa Rosa, CA concert. "Suite Transcendent" recording now out!